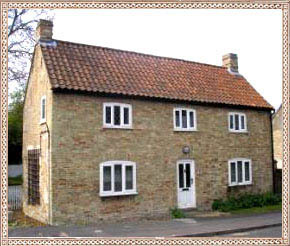 Please also see our other self catered accommodation. to Hilary's Cottage, a detached Victorian cottage available for holiday makers situated in the historic village of Swaffham Prior, close to Cambridge, Newmarket, Ely and The Fens. The village is famous locally for having two churches in the same churchyard, due to Swaffham Prior originally having two separate manors. Hilary’s Cottage maintains much of its old Victorian charm with many original features, with all the benefits of modern facilities. The cottage sleeps up to six; two double bedrooms, one upstairs and one on the ground floor, and one twin bedroom upstairs. There are two bathrooms; one en-suite, and one separate bathroom on the ground floor. The ground floor rooms are ideal for those who do not wish to climb stairs. The cottage has oil fired central heating throughout and one off road parking space, with additional parking outside the cottage. There is also a charmingly small and secluded garden at the back of the cottage with patio area and table and chairs for guests use. The village is served by service bus No. 10 to Cambridge which runs regularly every half an hour. Swaffham Prior also has an attractive and friendly pub called the Red Lion just a short walk down the village, turning left at the High Street.